We partnered with LIFE to honor the remarkable women who made their mark and made their voices heard, forever changing the course of African-American history. 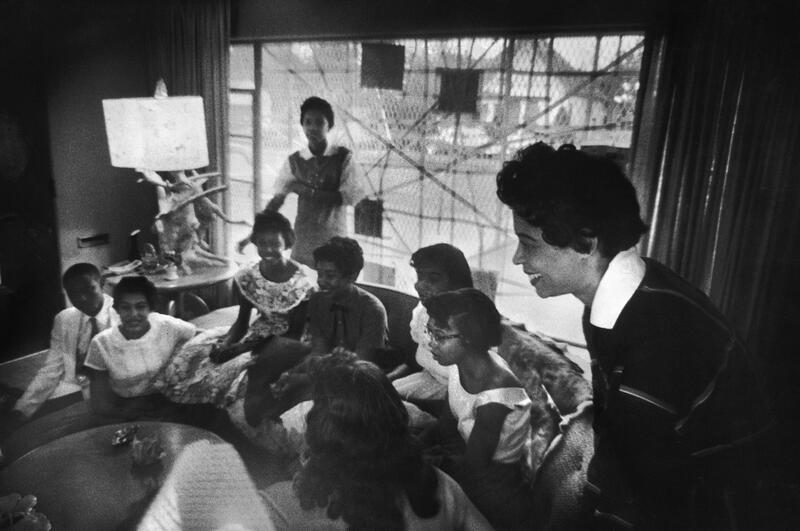 NAACP leader Mrs. Daisy Bates (r) meets with African American students who had been denied admittance to public schools by Arkansas Governor Orval Faubus. Bates played a pivotal role in advising the Little Rock Nine, a group of African American students, in their efforts to desegregate Little Rock Central High School in 1957. 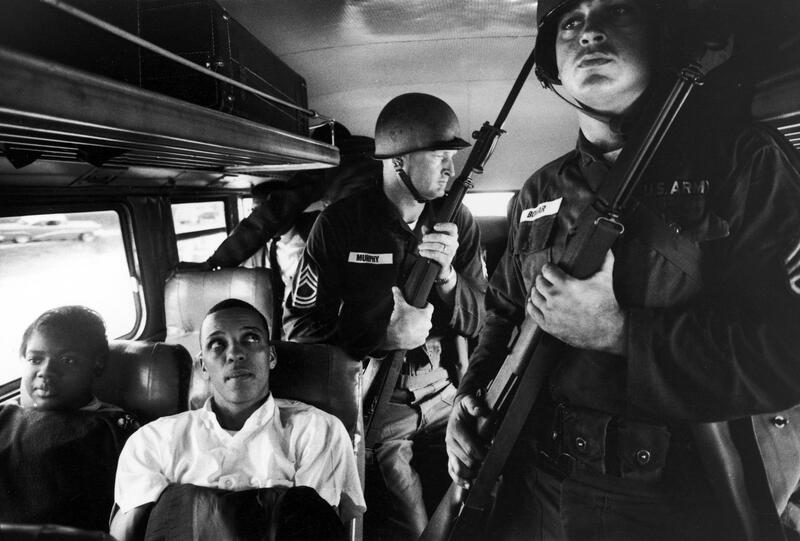 Freedom Riders Julia Aaron and David Dennis sit on an interstate bus as they and 25 others (unseen) are escorted by two Mississippi National Guardsmen holding bayonets, on their way from Montgomery, Alabama to Jackson, Mississippi. 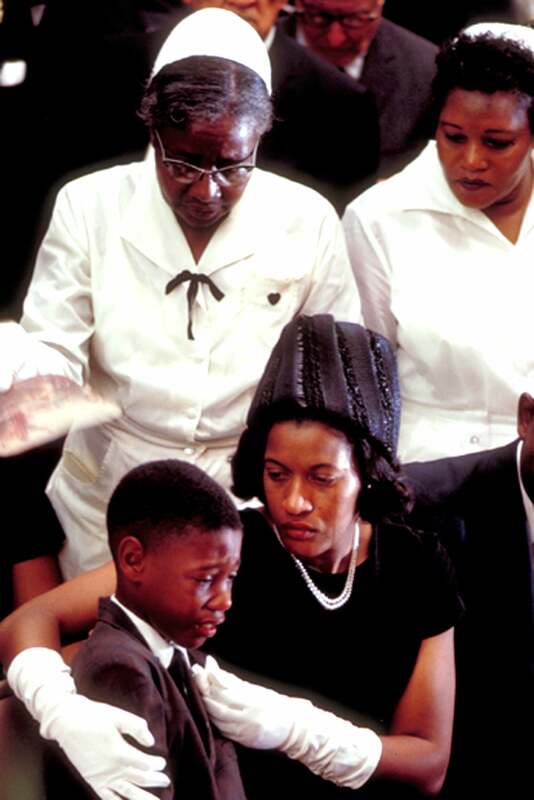 Civil rights activist Myrlie Evers comforts son Darryl Kenyatta during her husband, civil rights activist Medgar Evers' funeral. For more than 30 years, Mrs. Evers sought for justice for her husband's murder. 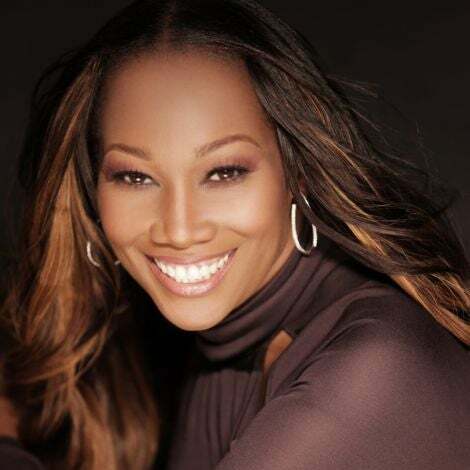 She also served as a chairwoman for the NAACP and co-wrote For Us, the Living, a novel about her late husband's life. 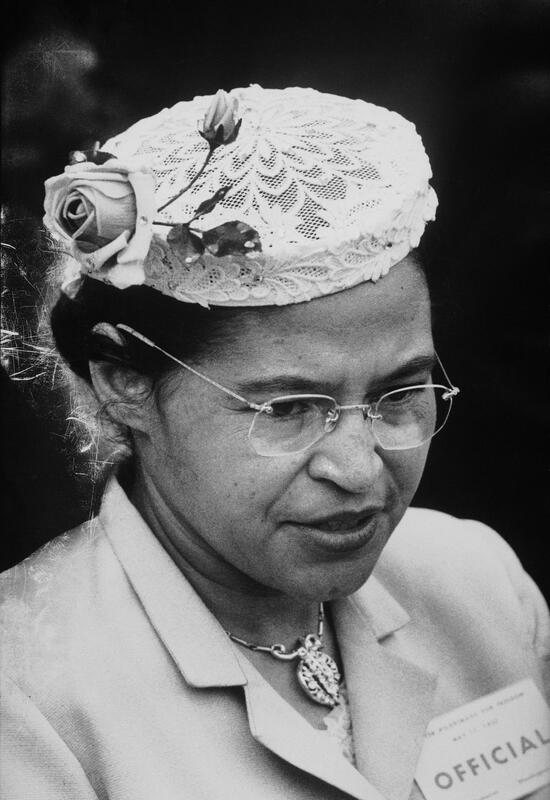 Civil Rights heroine Rosa Parks touched off the Montgomery, Alabama bus boycott by refusing to give up her seat in the colored section to a white passenger. Parks was arrested for civil disobedience but not without becoming an influential symbol for racial equality. Her court case served as step towards ending segregation laws in the south. 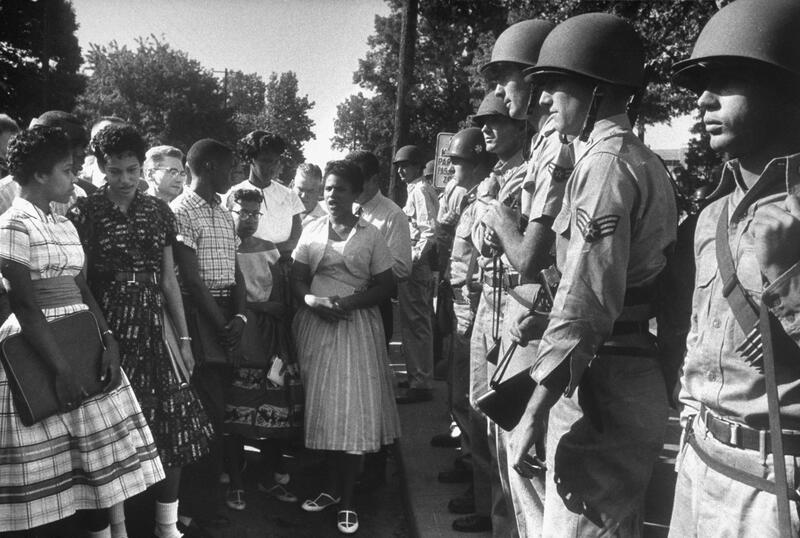 Minnijean Brown (center), 15, along with six other Black students, are pictured being blocked by the Arkansas National Guard who were instructed to keep them from entering Central High School. Brown was amongst the nine teenagers known as the "Little Rock Nine." On September 25, 1957 Brown stood strong in front of 1,200 armed soldiers and a mob of people angered by the Little Rock Nine's efforts to desegregate Cental High School. 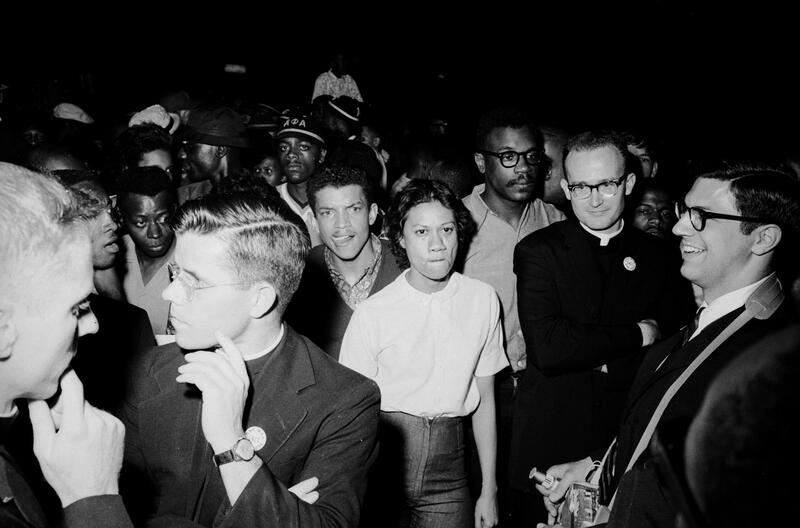 Multiracial crowd of demonstrators, including chairman of the Cambridge Non-Violent Action Committee Gloria Richardson (c) march for equal rights and opportunities for African Americans. The 1960s Cambridge Movement uncovered social injustices within institutions and fought against racial discrimination within universities. Mildred and Richard P. Loving were pioneers of interracial marriage within the United States. 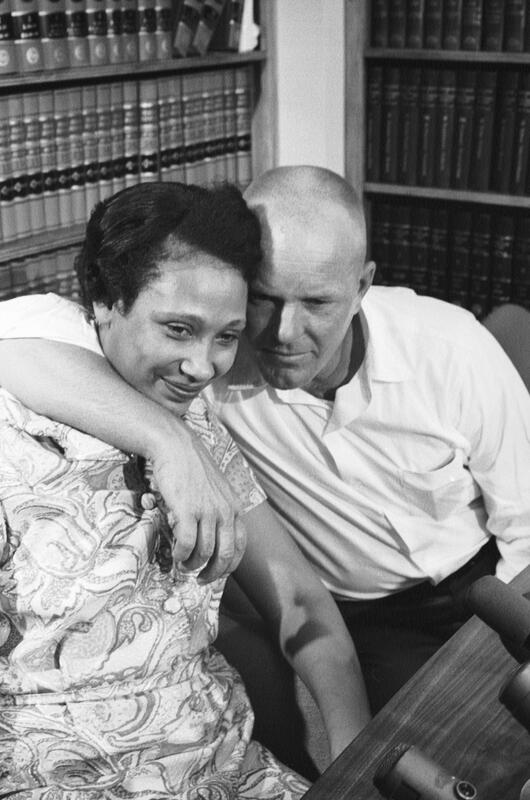 In the landmark case of Loving v. Virginia, the U.S. Supreme Court ruled against laws prohibiting interracial marriages. The couple had earlier been hit with a one year prison sentence for marrying and going against Virginia's anti-miscegenation law which forbid Whites and Blacks from marrying one another. 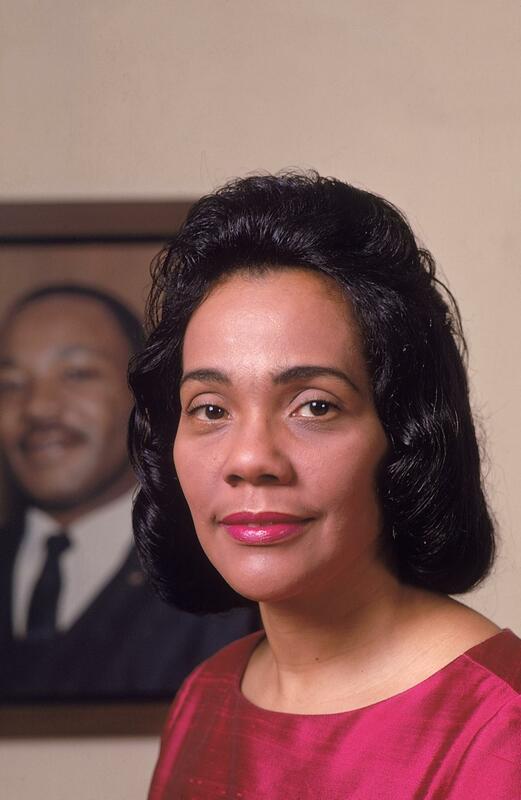 The widowed Coretta Scott King stands in front of a portrait of her husband, whom she loved until the end of her life. 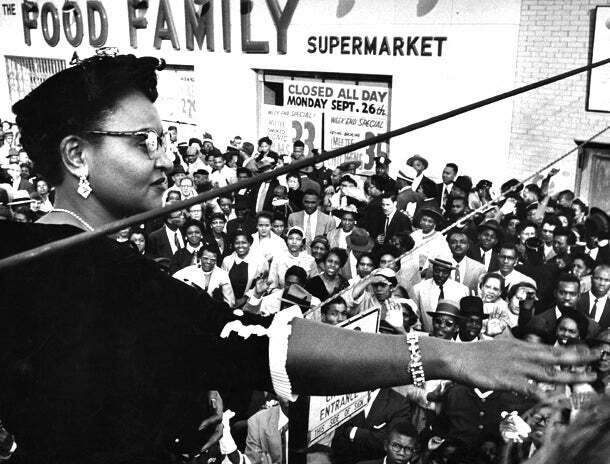 Mamie Bradley, stands on top of a truck in Harlem while speaking to an anti-lynching rally after the acquittal of men accused of killing her 14-year-old son, Emmett Till. Bradley demanded that her son's casket be left open during his funeral saying, "I wanted the world to see what they did to my baby." 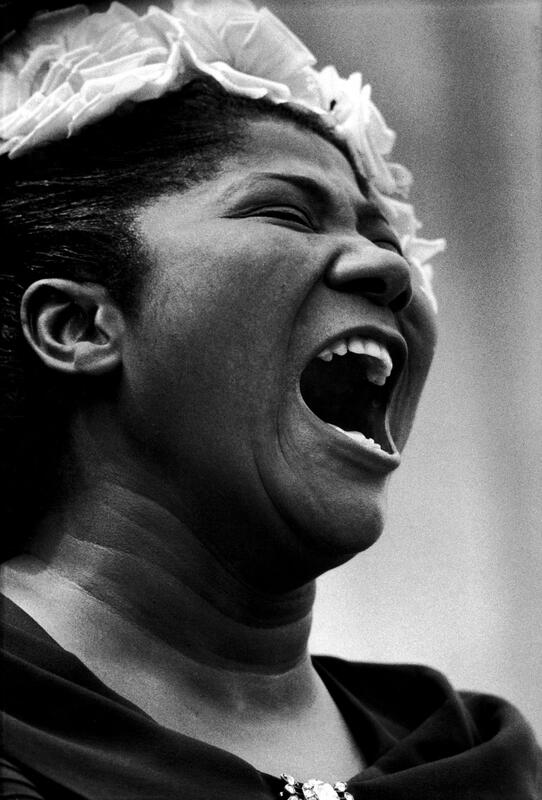 Queen of Gospel, Mahalia Jackson, sings at the Prayer Pilgrimage for Freedom, a non-violent event in Washington, DC on May 17, 1957. 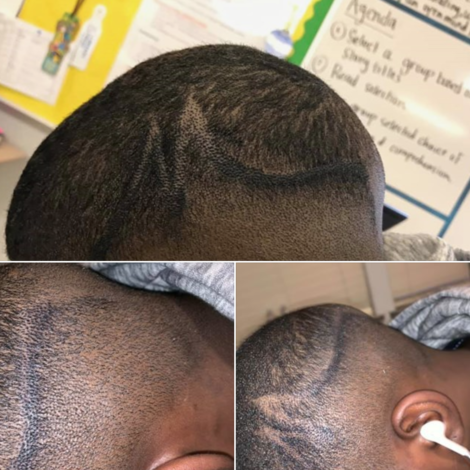 The event was held in celebration of the third anniversary of the Brown v. Board of Education decision and was an effort to get local and state governments to accept and acknowledge the decision. 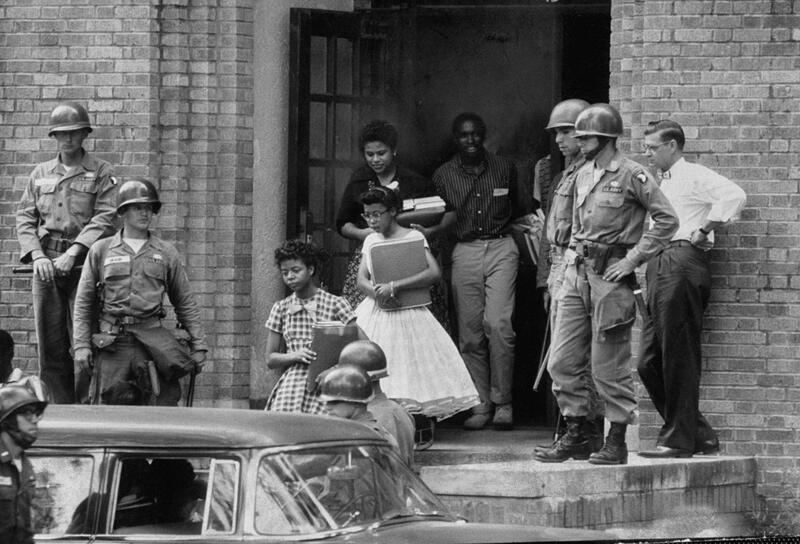 African American students are escorted by Federal troops at Central High School in Little Rock, Arkansas. The integration of schools came as a result of the influential Brown v. Board of Education case in Topeka, Kansas which ordered that all public schools be desegregated "with all deliberate speed." 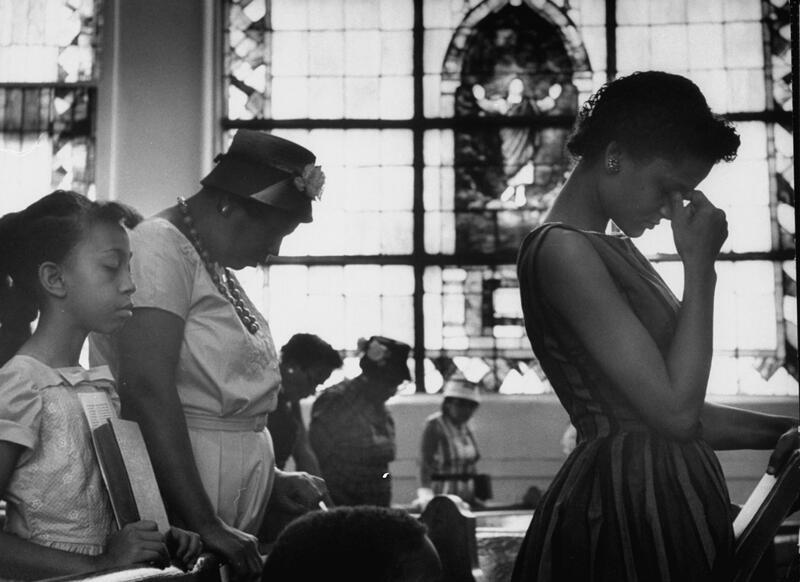 Supporters pray for the Freedom Riders, activists who rode public interstate buses into the south in the 1960s to bring light to the lack of enforcement of the Irene Morgan v. Commonwealth of Virginia and Boynton v. Virginia Supreme Court decisions, which ruled against segregated buses and deemed them unlawful under the constitution.